I played here Friday afternoon after a half day of work. It was a cheap and relatively convenient option. 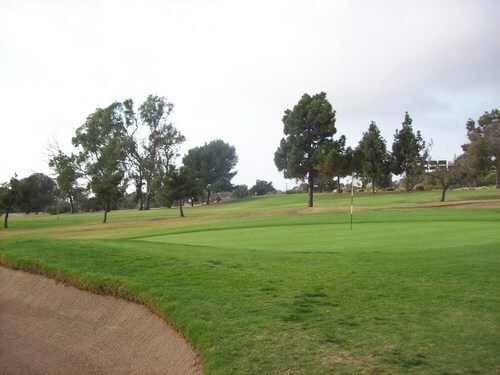 Most importantly, it is one of the few courses within an hour of where I work that I hadn’t played yet. 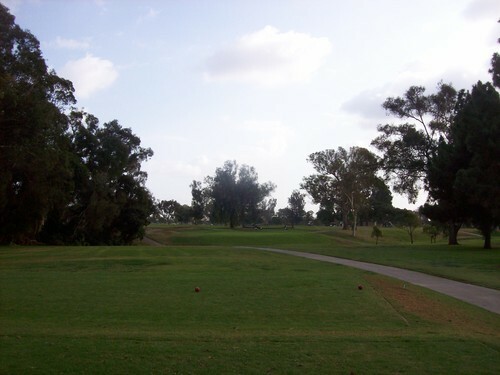 The price was $32.40 through GolfNow for an 11:52 tee time. When I checked in, they sent me out right away to join three players next on the first tee. We were a foursome and the course was busy with plenty of other foursomes and some fivesomes, too, so the pace was slow. That is to be expected here, though, so I was mentally prepared for it. We finished in a little over five hours, with just enough light to work with before it got too dark out. 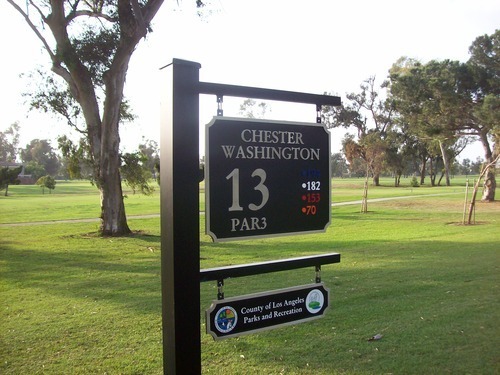 Chester Washington is in Los Angeles and is a county-owned course. Like many of its brethren, it’s a pretty straightforward design and one of the least interesting of all the ones I’ve played to this point. Still, it fed the need to play some golf. My expectations weren’t too high to begin with, so I walked away satisfied—especially knowing I had checked yet another course off of the to-do list. There’s not too much trouble to get into on any particular hole. 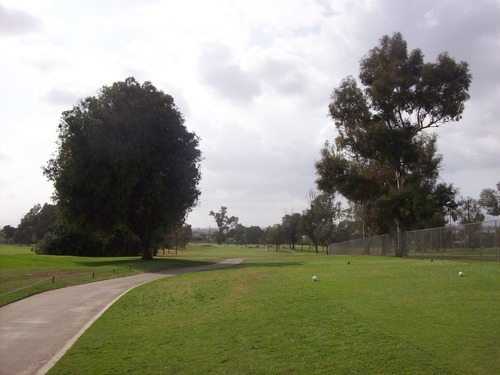 There are trees lining every hole, but plenty of room to work with in between. 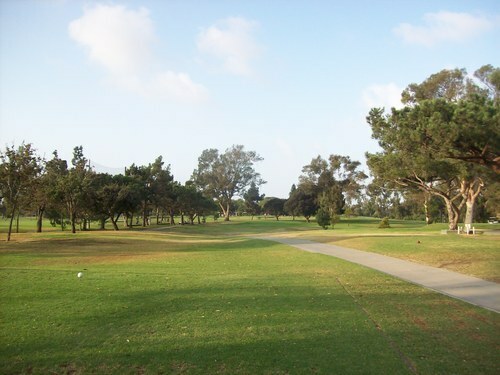 The fairways here aren’t as wide as they look, though. 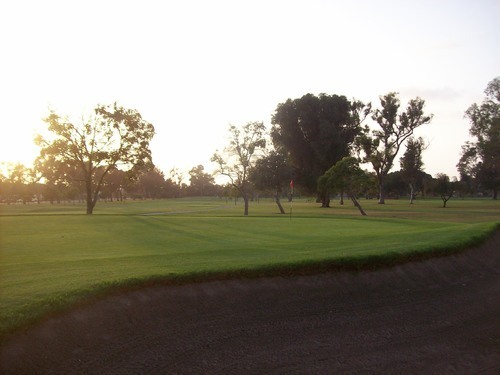 The landing areas are generous, but the cuts of the fairways can get narrow at times, so you’ll probably be hitting out of the rough more times than you think you will at first glance. 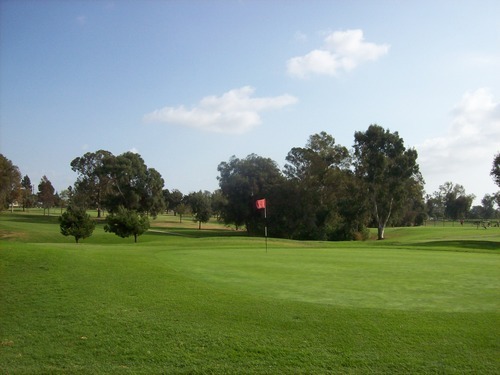 The course only plays to a par of 70 and is just over 6,300 yards from the back blue tees. 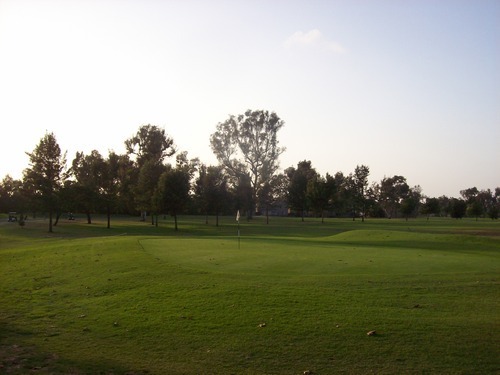 There are two relatively simple par-5s on the back nine and four par-3s overall. That leaves 12 par-4 holes that I found to be an odd mix of lengths. There are four of them under 350 that play very short/easy. 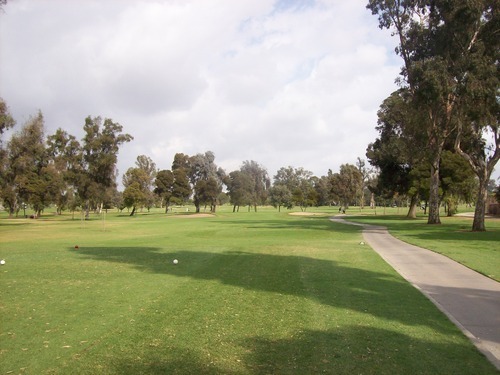 Conversely, five of them were well over 400 (including the 443-yard 9th and the 442-yard 17th). None of these hole designs are terribly tricky, so it’s really a matter of length. As far as conditions go, it was about what I would expect from a muni-level course this time of year. 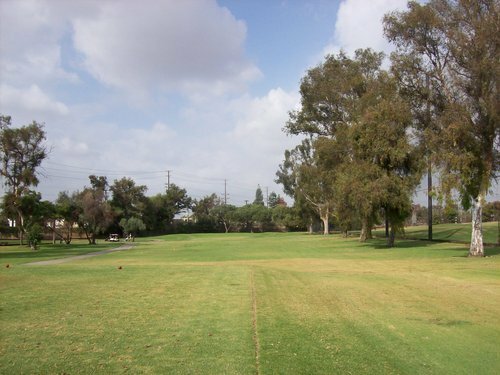 The fairways were mostly solid with some scattered thin areas. The rough was a mixed bag, so no two lies were ever the same there–everything from completely bare to very thick and lush. The tee boxes were good enough and the bunkers were fine. 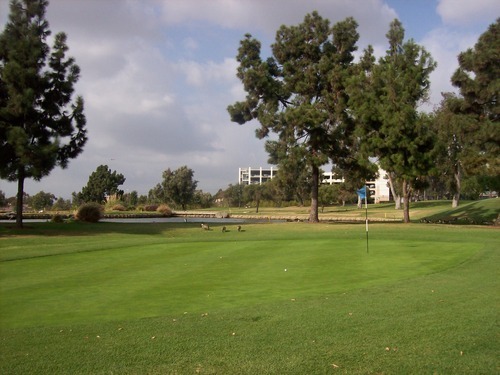 The greens were not as nice as most other LA courses I’ve played this year, so that was a disappointment. 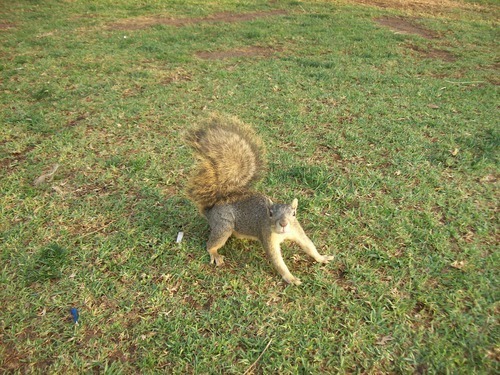 Here, they were very bumpy and slow, though, and they got even worse as the day went on. 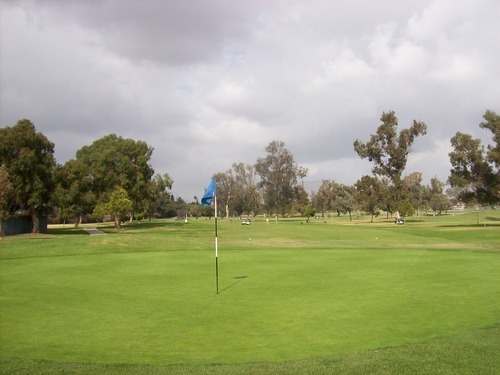 There’s nothing terribly exciting about old Chester Washington, but it’s fine as a reasonably priced, convenient option in Los Angeles if you don’t mind a slow pace of play. 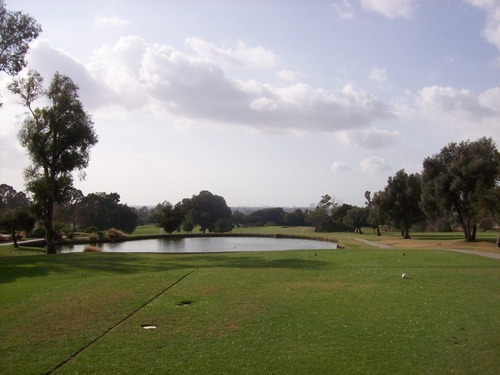 If comparing similar nearby options, though, I’d much rather play many other LA city/county courses.